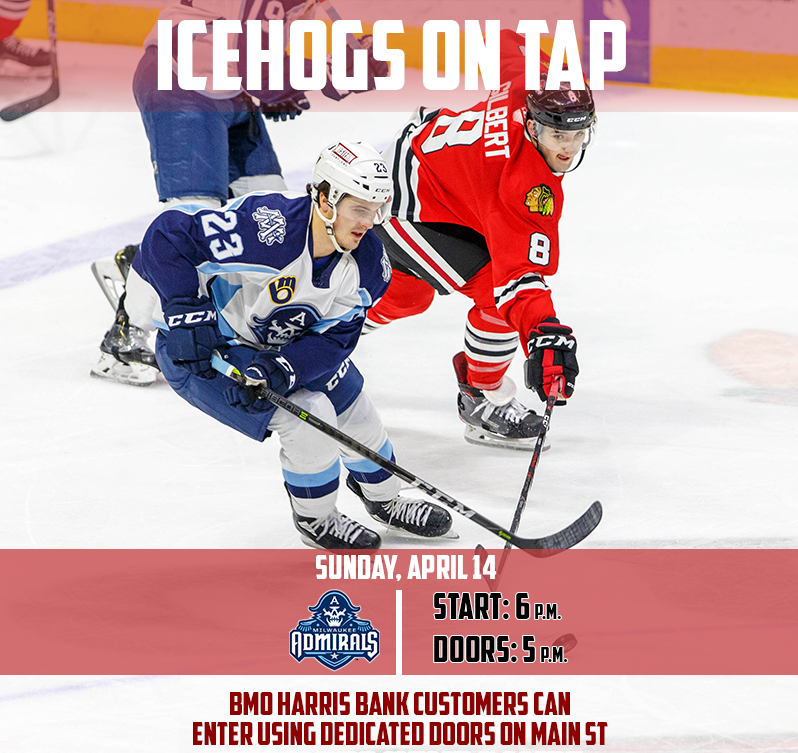 ROCKFORD, Ill. – The Rockford IceHogs will cap their 2018-19 regular-season schedule with their home finale on Sunday, April 14 at 6 p.m. at the BMO Harris Bank Center. Sunday’s contest is Fan Appreciation Night and will feature a team poster giveaway, courtesy of American Solutions for Business, "Jerseys Off Our Backs” and appearances by former Hogs head coach, Steve Martinson, and the UHL’s Colonial Cup. Fan Appreciation Night: The first 2,500 fans in attendance will receive a free IceHogs team poster, courtesy of American Solutions of Business. The evening’s festivities will also include the annual “Jerseys Off Our Backs” promotion, in which several lucky fans will be chosen by seat location to join a select number of season ticket holders as winners of a game-worn jersey from the evening’s game. Those selected will be presented with their jersey on the ice during a postgame ceremony. The IceHogs will also air a “Thank You Fans” video with highlights from the 2018-19 season during the postgame celebrations. Steve Martinson Recognition: To cap off their 20th Anniversary Season, the IceHogs will host former head coach Steve Martinson during Sunday’s game. Martinson led the IceHogs to their 2006-07 Colonial Cup championship and recently became just the third coach in history to amass 1,000 career wins. Fans can guarantee the opportunity to meet Martinson by purchasing a $30 meet and greet package, which includes access to the meet and greet, a picture with the UHL’s Colonial Cup and an upper sideline ticket to Sunday’s game. Packages can be purchased by calling (815) 986-6465. Colonial Cup: The UHL’s Colonial Cup will be on display in the Blue Flame Lounge throughout the evening during Rockford’s regular-season home finale. Fans are invited to stop by the display to take a picture with the Cup. 4 for $44: Four upper-end zone tickets, fountain drinks and hot dogs can be purchased for Sunday’s game for just $44. Additional tickets may also be added to the package for just $11 for each ticket. This family pack can be purchased by calling the Box Office at (815) 968-5222.